The Preschooler Rugby Hat is a super warm and quickly knit hat for your preschooler with bulky yarn and large needles. Your little one will be the cutest kid in class! Directions given for knitting in the round and knitting flat. Have fun making a few of these as a super fast stash buster! Round 1: K2, K2tog to end of round. Using tapestry needle, break yarn leaving a long tail. Thread through remaining stitches and pull tightly. Weave in ends. Add a large pom pom if desired. Using tapestry needle, break yarn leaving a long tail. Thread through remaining stitches and pull tightly. Seam up the back and weave in ends. Add a large pom pom if desired. Oh this is really cute! 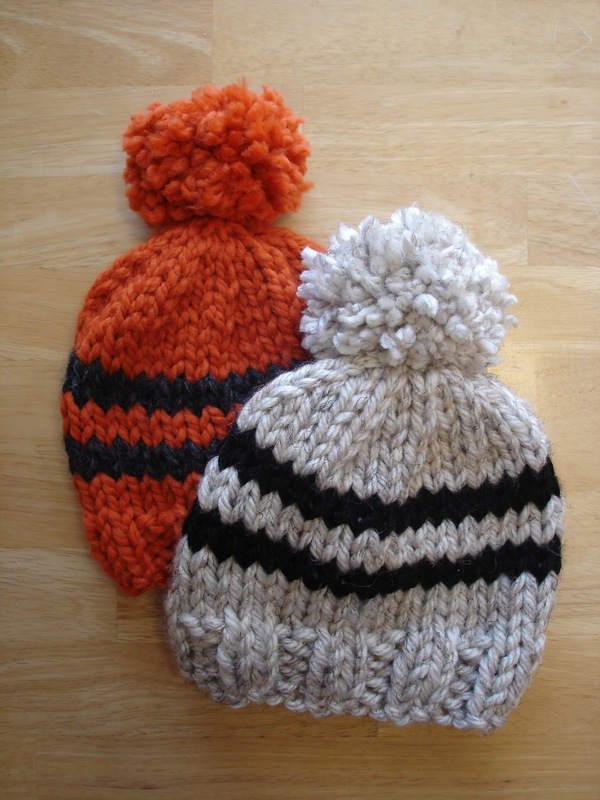 Gotta make some soon for when fall comes! Thanks! It's a really cozy hat! Aren't size 15 needles really big. Yes, they make for a chunky and lofty hat that is super warm! Hi, I want to knit this fab hat for each of my kids for xmas. I am new to knitting in the round so my question is.... why do you have to change from a circular needle to dpn's when decreasing?. Hi and thanks for your question! The reason you have to decrease is because as you decrease the tube you are creating will start to be too small for the circumference of the circular needle...the dpns are help for this because you can make very narrow things in the round. I hope that helps! 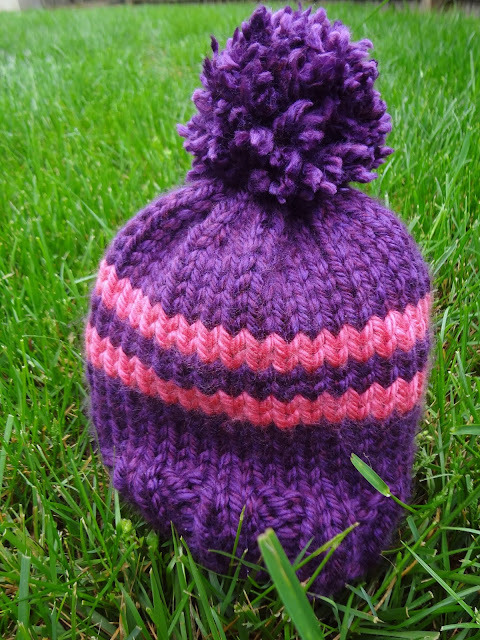 Also, this hat is very stretchy so you may be able to get a few winter's out of them too! Ok, I understand. Thanks so much and wish me luck!! Hi Jennifer - thanks for the great pattern! 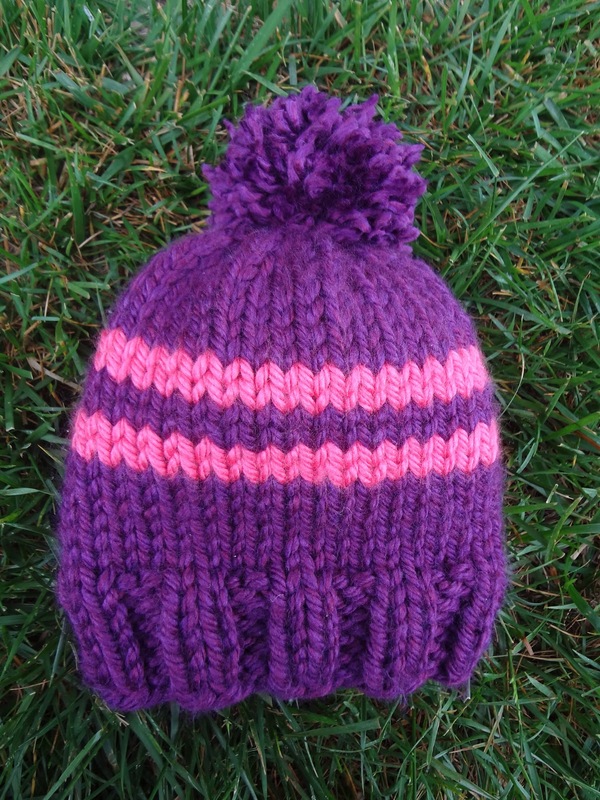 I've just made one, and what a quick knit! Hi wheresalex! That is a great questions! Actually I am working on that right now...someone else asked recently. I'll definitely keep you posted! I have been knitting for a long time but have never found patterns as easy to make or understand as this site offers and I don't have to buy a book to just get one pattern , thank you. So glad you like the patterns!